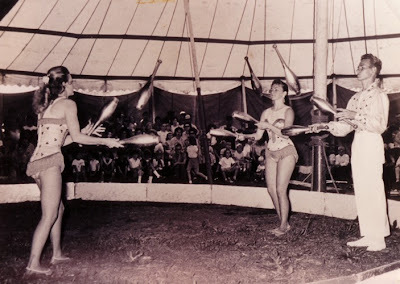 The De Rizkie Family was a third generation circus family of French & Dutch descent, Letha & Frank performed a Double Chair Balancing Trapeze Act, also doing Foot Slide, & Head Slide, respectively. 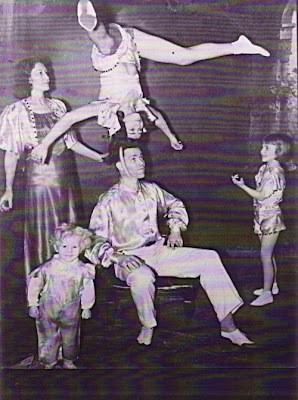 When their four children were growing up, in the tradition of many American circus families they taught them to be versatile, learning many different circus skills. 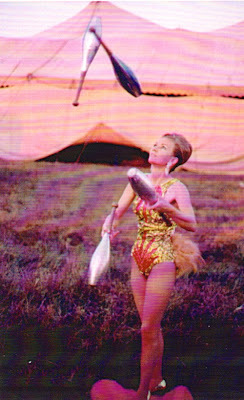 Lucy learned Slack Wire, and along with, Francine, Gayle, & Frank Jr. learned Head Balancing Trapeze, Gayle did Foot Juggling, and the whole family did a Juggling Act. 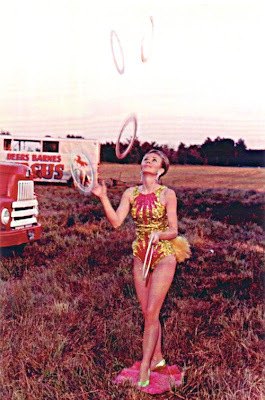 On the Rola Bola, Frank & Sandra did juggling, and Lucy & Gayle did head to head, Lucy, Sandra, & Frank Jr. worked with elephants, Gayle & Lucy worked the Dog Acts when needed, and of course the girls all did web, & swinging ladder. 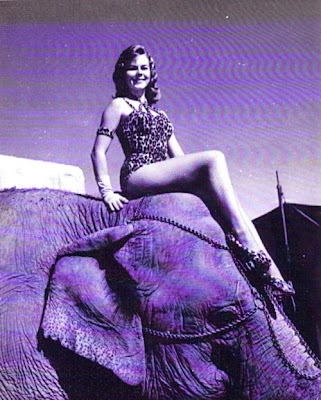 They worked circuses, fairs, parks, films, & TV throughout the U.S. & Canada, they spent much time working in the East with Hunt Bros, 1945, found them with Railroad show, Arthur Bros., & 1947 with Floyd King’s King Bros. Some other shows were Ring Bros.(owned by Franco & Lucy De Rizkie Richards), Robbins Bros., Hagan-Wallace, & others. LETHA & FRANK DE RIZKIE SR.
On the left is Letha,the top mounter is Francine, the understander is Frank Sr., with Lucy on the right, & Gayle lower left. 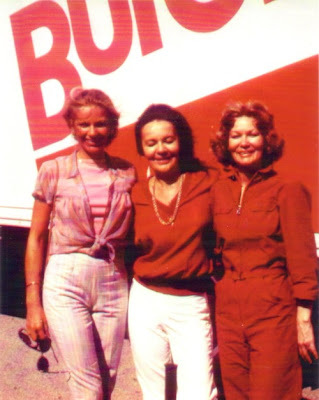 Letha was a "Charter Member", of "Showfolks of Sarasota", and was a familiar sight at the dinners, accompanied by daughter Sandy. 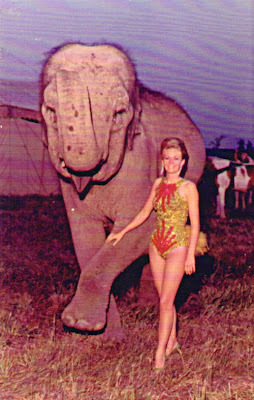 Sandy, like the rest of the family was an all around performer. She married James Owens of Sarasota, she has one son, Brian, who also lives in Sarasota. 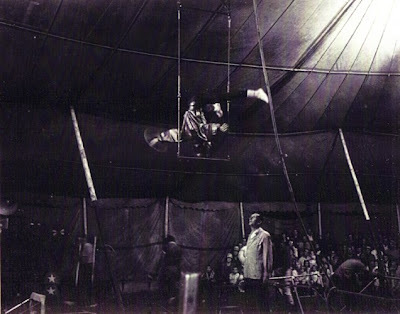 Frank is probably best known in recent years as superintendent of Circus Vargas when it was one of the great tent shows. 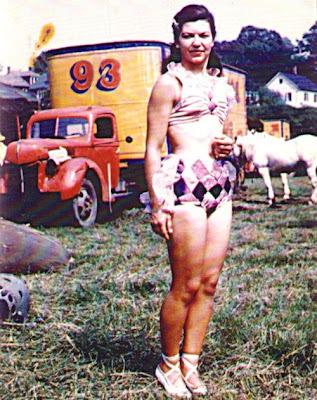 Frank married Molly Olmos, of Circus Vargas, & had two sons, they now reside in Brownsville, TX. 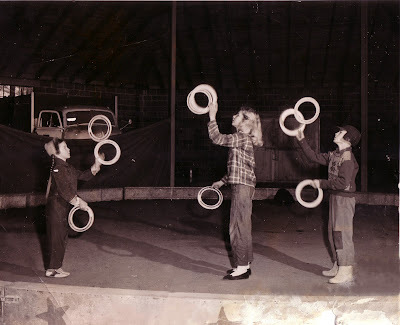 This is Sandra, Gayle, & Frank Jr., Hunt Bros. Winter Quarters ring barn, 1950's. THE DE RIZKIE FAMILY JUGGLERS. 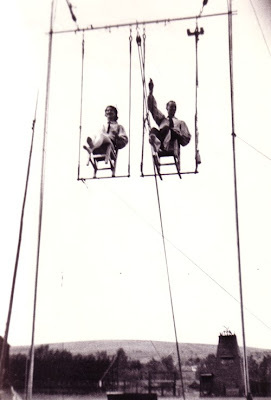 Gayle married Tight Wire Walking Sensation Harold Barnes, and has one daughter living in Colorado. 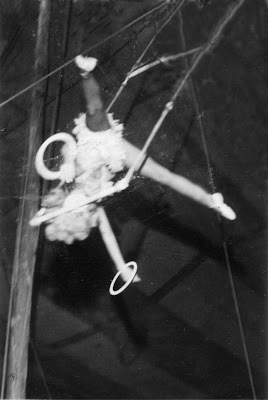 Two head balancing trapeze artists, Gayle with Tiny Gallagher,(Gala Shawn). 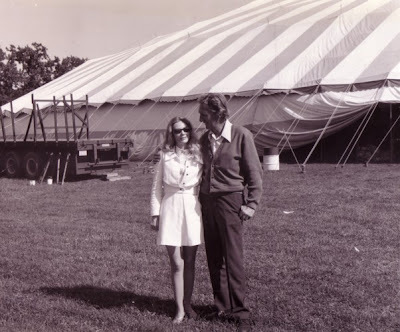 Rudy Jacobi rented tents from Harold's Co.
Lucy is married to showman extraordinaire, Bob Snowden. 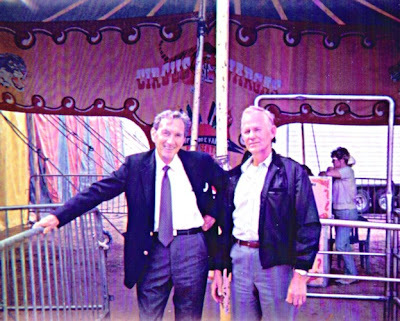 HAROLD BARNES & FRANK PEALER DE RIZKIE JR. In the early years Cliff Vargas also rented his big tops from Harold, Frank Was the show Superintendent, even after Cliff had his own tents. 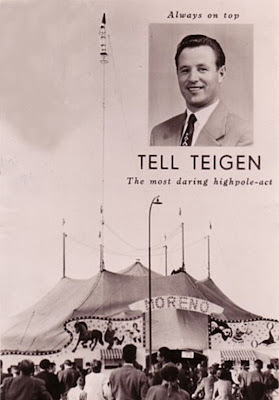 A MONUMENT TO HONOR "TELL" (TRYGVE) TEIGEN WAS RAISED IN HIS HOME TOWN OF HOYANGER, NORWAY TODAY AUGUST 23, 2008. For those who wish to send flowers can send them to the funeral home. The original announcement for Athur's birthday party was not exactly correct, the wording lead people to believe the dinner is a "free roll". Actually this the normal Saturday Night Dinner(pay as usual), following the dinner will be the celebration of Arthur's,94th Birthday. On Saturday September 6th, following the "Showfolks" Sat. 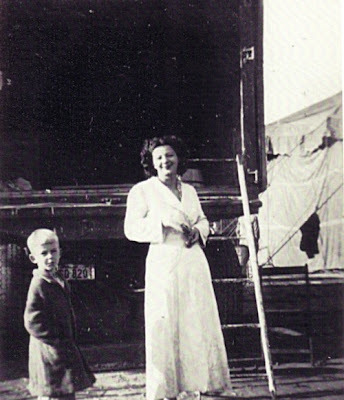 night dinner, Dorothy Grotenfent is having a Birthday Party for Arthur, & you are all invited. 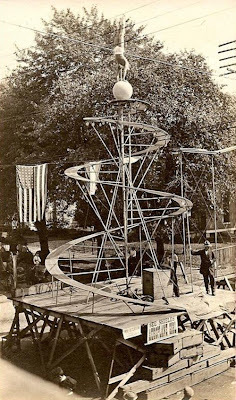 The sign on the front of the stage states, " SHIELD'S AIRPLANE GIRL", but I am pretty sure this is the Fussner rigging, top right you can see the ramp leading away from the tower, & part of the teeter-totter.